Sports, is a lively genre in the world of anime, brimming with exciting shows that cover a plethora of interesting plot scenarios and are highly anticipated by fans. Abundant anime series are centered on fascinating characters that boast a charming athletic appeal. Experience the feverish madness of sports anime where nothing is boring or predictable. Right from dramatic cues on a football pitch to unexpected pinnacles on a basketball court, sports anime has scored tons of admirers. If you’re a sports enthusiast and cannot resist watching such true-to-life stories, here’s a list of the top 10 best anime sports series(now top 11), all in one piece. This classic sports anime series deserves the highest ranking that mirrors a typical high school basketball story. It has drama, lots of action and little bit of romance with an exceptional comedic side. It follows the story of the freshman student, Hanamichi Sakuragi who is lost in the spiraling complications of romance changes, as his life intertwines with a sport that soon becomes a major part of his life. Right from impressive stunts to dunking personal hurdles, the plot is one of the best anime series of today. If you think boxing was just a sport, here’s an anime that can completely knock off its fans – Hajime no Ippo. Intense, electrifying and incredibly dramatic the sports anime series actually exists around a boxing champion. Centered on Makunouchi Ippo’s celebrated struggle in the world of boxing, it all comes down to reaching the top. Wrestling past hurdles, the anime features amazing boxing moves in the ring as we watch Makunouchi’s growth throughout the series. Enter the world of gambling as you come across Toua Tokuchi in this master piece anime series that revolves around the Japanese Pacific Baseball League. Overflowing with dramatic escapes, the anime highlights Toua Tokuchi’s master mind techniques as he pitches in ‘One Outs’ on the field. Trapped within baffling conditions of his baseball career, the series is definitely ideal for viewers who’re looking for a to-do storyline. One of the top rated anime series is Kuroko no Basket with a pin-up cast and an outrageous storyline. High level intensity of the game and the undefeatable group of players definitely makes it an interesting choice especially if you get to see god-like executions on the court. The anime revolves around a basketball team that consists of prodigious players, each displaying a unique attitude and near-perfect skills. Generation of Miracles has attained a rally of anime crazy followers, are you one of them? Baseball yet again but with a little bit of twist – Major is one of the longest running sports anime series that features a string of friendly characters and some heavy drama. Though there are comedic bursts on the pitch, the captivating storyline has made it quite special. Based upon a spectacular character called Goro Honda, the anime is a beautiful story that outlines Honda’s sports endeavors through life altering tragedies and triumphs. There’s lightening, bountiful speed and a race track to get your heart pumping! Initial D is Japan’s first anime series that revolves around street racers with a refreshing plotline. Definitely an exhilarating change from the constant string of outdoor sports, the anime is ideal for fans have a passion for driving. Kicking in the centered protagonist Takumi Fujiwara and Itsuki Takeuchi, the story illustrates invincible street racers, inevitable conflicts and romantic swings between the two best friends. This list is the truth. 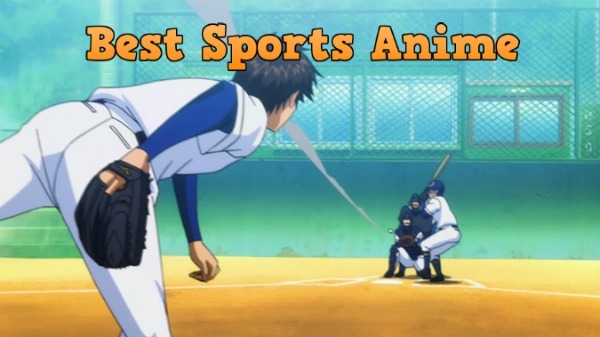 It showed the best of the best sports anime rather than those biased lists. All recommend here are a must watch. wat abt ” diamond no ace ” ??!!! Haikyuu must be here !!!! 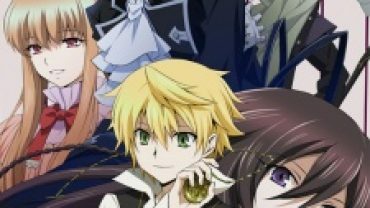 Osm anime series !!!! Why theirs no Overdrive?! Ha.